The Hood pear tree produces large size, yellow-green fruit. The flesh is mildly flavored with a unique aroma. A very popular Asian pear, the Hood pear trees need very low chill (1-200 hours). Very resistant to fire blight. Pollinated by other Asian pears, especially Flordahome pear. USDA Zones 6-10. A very strong tree that produces many fruits that are good for eating. Hood pear trees produce well in the mild winter climates of Los Angeles, Santa Barbara, and Orange County. 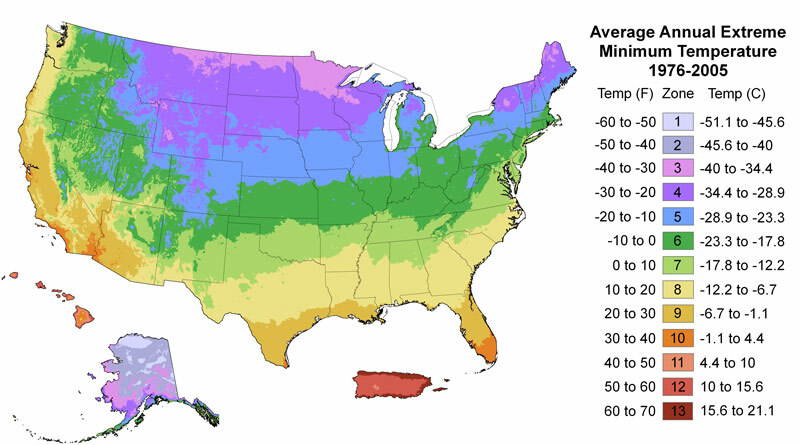 Cold tolerate to most of the United States down to USDA Zone 6. Grow your own strong and sturdy Hood Pear tree and produce many fruits. Trees grow 10-20 feet tall and wide and lose their leaves in the Winter. No additional water is needed while dormant in the Winter. Begin to water in the Spring once trees leaf out. Increase the frequency as it warms in the summer and reduces in the fall as it cools. Discontinue water during the Winter. Fertilize you pear tree with organic fruit trees fertilizer seasonally. Use a higher nitrogen fertilizer such as manure and blood meal during the growing season. Also, apply fertilizers like a bone meal with higher phosphorus and potassium during the winter to promote spring blossoms. Use organic fruit tree dormant sprays like Neem oil in the winter to prevent soft-bodied insects. Harvest fruit when ripe to prevent pests. Cover your crop with netting to discourage pests.